See a labeled arial photo of the property and surrounding area. To help with your planning, access a printable layout of the entire venue showing all dimensions and features. 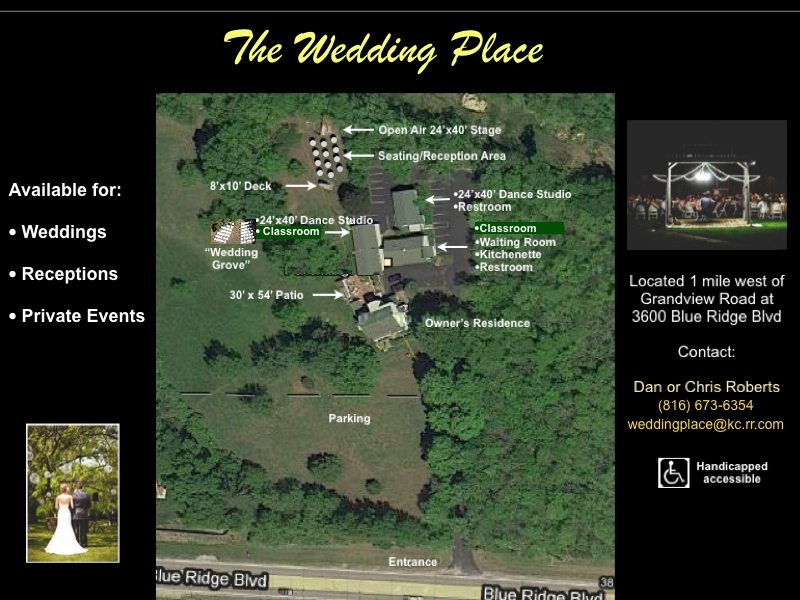 The Wedding Place is central to virtually every South Kansas City Community. It is located on Blue Ridge Boulevard, 1.8 miles west of 71 Highway (I-49) and 3 miles east of State Line Road. For detailed driving directions, travel time, and a map from your home, enter our address from above here.